Day 1: You will be picked up at your hotel for a transfer to Central Provinces, specifically the Province of Herrera, where you will stay in the Hotel Cubitá. Cubitá is the name used for the pre-Columbian indigenous major river in the area, and also for a town near where today is La Villa de Los Santos. 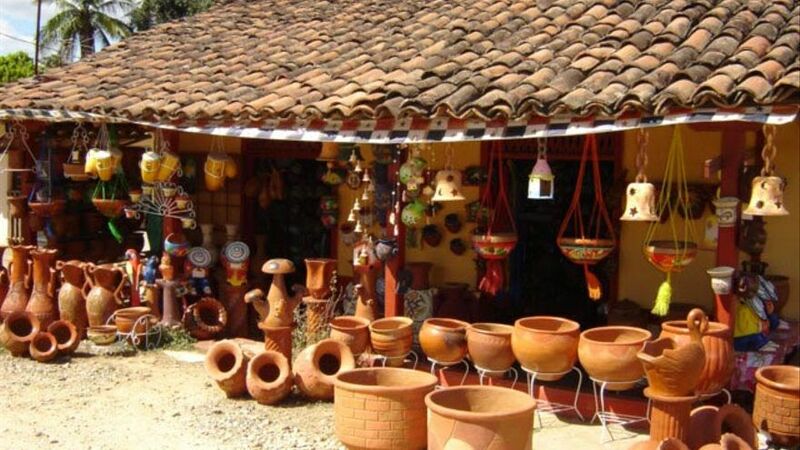 Day 2: You will know Panamanian traditions in Azuero, who has a great cultural historical legacy that converge and keep alive our roots and traditions. The Panamanian folklore, which is simply the result of the passage of different people and civilizations from pre-Columbian times, were eventually forming a distinct cultural identity and has been characterized as folk high expression of the Isthmus of Panama. Considered by many “the cultural heart of Panama”, the inhabitants of the “Peninsula de Azuero” live their traditions and folklore with pride and express it in many festivals throughout the year. You will see in detail the preparation of the “Pollera”, one of the most beautiful traditional costumes of the world, visiting artisans who dedicated their life to the development of the dress. You will also visit local artisans who make “diablicos” masks, drums and gold jewelry as part of the typical Panamanian culture. You will continue to know the Panamanian traditions here in Herrera, where you will experience the different uses of sugar cane from the refreshing juice called “Guarapo”, traditional cooking molasses until artisanal production of sugar cane liquor. You will see salt extraction in the Pacific Ocean, visit the production of ceramic clay handmade and learn how the famous Arena bread is baked. Day 3: We will know the process of the best Ron of Panama, Ron Abuelo. We will visit Pesé in the heart of the province of Herrera and home of the Hacienda San Isidro, where rum is produced. After a brief historical introduction in a colonial house, you will move in an ox cart through the cane fields to the Hacienda. You will visit the distillery to learn about the different steps that are necessary to produce alcohol based on sugar cane: grinding, fermentation and distillation. Then visit the wineries where the rum ages and matures in oak barrels. Now is the time to try the different rums that are produced in the Hacienda San Isidro: In a guided tasting you will taste the Ron Abuelo Añejo of 5 years, 7 years, 12 years and the Ron Abuelo Centuria – a 30-year old solera. After the tasting you will enjoy a traditional Panamanian lunch and an open-bar of cocktails and drinks based on rum and dry to complete this rum tour. You will be picked up at your hotel for a transfer to the Alonso Valderrama Domestic Airport for your flight to Panama City, and where a driver will wait for your transfer to your hotel in the capital.